Tim Cannon is the vice president of product management and marketing at HealthITJobs.com. The health IT industry is growing, but it’s also becoming competitive. While a career in health IT is fairly easy to break into, professionals will continually need to increase their value by gaining the knowledge needed to adapt to the evolving technology in the industry. Fortunately, increasing your credentials and experience in health IT has been simplified by numerous certifications available. In fact, my company’s recent salary survey found that health IT professionals with certifications typically make $10,000 or more than those without. The CISSP certification is ideal for professionals who work or want to work in information systems security. In any profession that requires the transfer and curation of patent data and confidential records, it’s helpful to have experience keeping information secure. This certification requires five years of paid full-time experience in the field, but one year may be waived with a four-year degree. The CCNA certification is for network engineers who are looking to advance their skills in networking. It provides training and education for installing, monitoring, and troubleshooting network issues. Training covers important topics such as IOS, IPv6, IPv4, OSPF, Cisco Licensing, Serial Line Interfaces, VLANs, Ethernet, VLSM, and basic traffic filtering. The most important one for project managers, this certification is highly renowned in the industry. Professionals with this certification demonstrate the experience and competency needed to lead and direct projects. Project manager was found to be the most lucrative job function in the health IT industry, pulling in an average of more than $111 million annually, according to our survey. The Project Management Institute also found obtaining a PMP certification further increased salaries. The CompTIA certification prepares professionals to support healthcare information systems in clinical settings. Ideal companies range from private practices to hospitals and clinics of various sizes. The exam covers regulations, IT best practices, business operations and security topics. One of many health IT certifications offered by Health IT Certification, LLC, the CPHER certification provides training for professionals who plan, implement, and manage the use of EHR or electronic health records. With the growing use of EHR in healthcare establishments, it’s not a bad idea to pick up this certification. The company also provides several courses, including one in meaningful use. Experts in managing patient health information, RHIA certified professionals are masters at administering health information systems, collecting and analyzing patient data, and using medical terminology. This certification is ideal for those who work with care providers, patients, and payers regularly. The HCISPP certification is best for aspiring medical records supervisors, compliance officers, IT security managers, and risk analysts. This professional certification requires at least two years of experience, but if you’re a recent graduate or new to health IT, you can become an Associate of (ISC) for HCISPP, which only requires the exam. From the organization HIMSS Worldwide, these certifications are made for professionals at different levels. The CAHIMS is best for professionals with less than five years of experience working at systems analysts or IT managers or consultants and even nurses. Candidates should possess a fundamental knowledge of health information systems. The CPHIMS is the next step for seasoned health IT professionals. It covers many of the same topics as the CAHIMS, but emphasises analysis, leadership, and management skills. Candidates must submit an application and meet work experience requirements. Both certifications require an exam and must be renewed every three years. Whether you’re a seasoned health IT professional or just breaking into the industry, obtaining a certification is a great way to help improve your skill set and make you more valuable to an organization. Not to mention, it could help you increase your paycheck significantly. 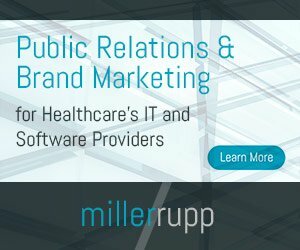 What are some other helpful health IT certifications you’ve heard of? Tim Cannon is the vice president of product management and marketing at HealthITJobs.com, the largest free job search resource connecting busy health IT professionals with relevant opportunities in the health IT field with minimal effort. Connect with Tim and HealthITJobs.com on LinkedIn. There is no “CompTIA” certification. CompTIA is an organization with several certifications. Do you meant the CompTIA Healthcare IT Technician cert? Yes, thanks for catching that. I was referring to the CompTIA Healthcare IT Technician cert. Thanks for your article Tim. It seems to me that the HCISSP and the CISSP would be overlapping if not redundant. Is the title of your article really correct? I realize that it is awesome if one had all eight certs, but can’t you still be competitive if you had one or two of the key certs? Thanks again. CPHIMS would be more like it on the project management side since it hones on analysis, management and leadership skills. RHIA or CAHIMS which is better? Hi, very informative article. I have a CISSP and was looking for the ADDED value of the HCISPP. I am surmising that there is not that much added since CISSP is #1 and HCISSP is #7. Am I correct? The CompTIA Healthcare IT Technician certification was retired in 2017.